Six days. Ten students. One prototype building. Studio North participants need no prior building experience. Over the course of six days, they create a rural structure. This year's program focused on building a sleeping structure for "glamping" in the Vermont woods. The students worked with a limited palette of materials: 2x framing material, galvanized connectors, translucent fiberglass, and supplies gathered on site. The students also built furniture—chairs, benches, and stools—from simple 2x4s. Each summer, architecture firm Moskow Linn invites aspiring designers to a 117-acre farm in rural Vermont for Studio North, a six-day building intensive. Since its first edition in 2011, projects have included a structure for gathering maple syrup, complete with walls made of useable firewood, and a pavilion made of birch. 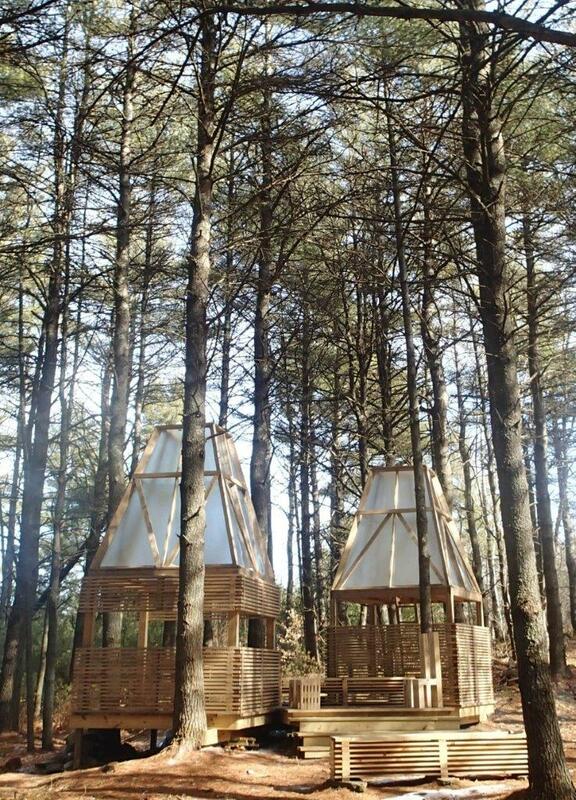 For their 2015 program, the team created a woodland "glamping" retreat, where future students will one day stay. A wraparound cased opening provides a view of the surrounding forest, while benches bookend a large elevated outdoor deck and fire-pit area. Like previous Studio North projects, the structure was built from a few simple ingredients: 2x framing material, galvanized connectors, translucent fiberglass, and materials gathered on site. Moscow Linn Architects is currently accepting applications for Studio North 2016, which runs from June 12–18.